Earlier this year, prominent Atlanta attorney Tex McIver was found guilty of murdering his wife, Diane McIver, with a single gunshot from the backseat of the car in which the couple was riding on their way home one confusing September night. Despite the verdict, the trial that ended in a life sentence for the 75-year-old Tex ultimately raised more questions than it answered. 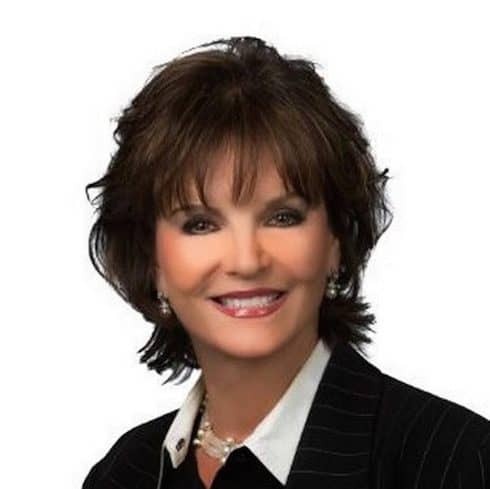 So what happened to Diane McIver — a hugely successful and wealthy member of Atlanta’s business elite — and was her death really a murder? Who was Diane McIver? How old were she and Tex McIver? What happened on the night Diane was killed? The basic facts of the case are these. On September 25, 2016, Diane and Tex McIver and their friend Dani Jo Carter were headed from Conyers GA to their luxury condo in Buckhead, itself a luxury district of Atlanta. Dani was at the wheel; Diane sat in the passenger seat; Tex dozed in the back seat. So Tex asked for the .38 caliber Smith & Wesson he kept hidden in a plastic Publix grocery bag in the glove compartment. Then, he fell back asleep. Minutes later, the gun went off. The “boom” that Dani heard was so loud, she first thought the group had been hit by another car. “I’m looking around, and I see Tex putting the gun down, and he said something about he had fallen asleep,” she would say. And Diane McIver said she’d been shot. The bullet had passed clean through Diane, taking a slightly downward trajectory through her body, even though a rod placed through the seat where the bullet entered and exited “suggested the bullet traveled down to up.” In a few thousandths of a second, the bullet penetrated where Diane’s eleventh rib met her eleventh vertebra, scattering pieces of bone along the bullet’s path. 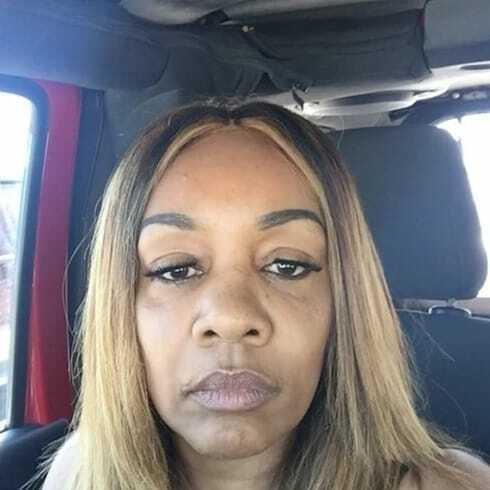 The bullet went on to slice through her left adrenal gland and left kidney, before severing the blood vessels leading to and from her spleen, then through her pancreas and stomach. At that moment, blood began spilling into her abdominal cavity. Tex, now wide awake, told Dani to drive to Emory University Hospital. Once doctors managed to stabilize Diane’s weak pulse, surgeons operated on her for over an hour. But “[Diane’s] chance of survival was zero at this stage,” the attending surgeon would later write in his report. In the early hours of September 26, Diane McIver passed away. She was 63 years old. Initially, Tex McIver was charged with involuntary manslaughter. Then, about three months after Diane’s death, Atlanta station CBS 46 discovered that Tex was two years late repaying Diane a loan of $350,000, which she’d given him “for construction of a saloon” on their 86-acre Putnam County estate. Not long after that, the Fulton County District Attorney’s office — already looking for a possible motive for murder — found out that Diane may have had a second will. During their search of Tex and Diane McIver’s condo, they found a gun — something the conditions of Tex’s bond forbade him from possessing. Tex, who owned approximately 35 guns, claimed this one had been planted. But the judge in Tex’s case revoked his bond and sent him to jail. Then a grand jury announced it had heard enough evidence to charge Tex with murder. 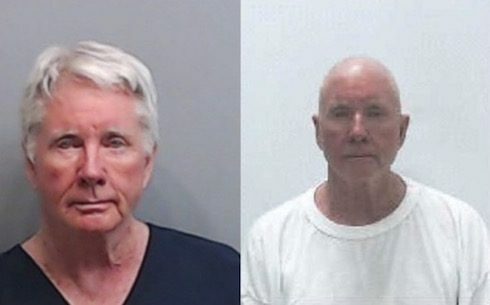 Tex McIver’s mug shots following his arrest in December 2016 (left) and his sentencing in May 2018 (right). Mug shots via Georgia DOC. Tex had been diagnosed with parasomnia, a term that covers a broad spectrum of sleep disorders, such as sleep paralysis, confusion on awakening, and involuntary movements. When Tex would doze off, Diane would often fuss at him, saying he needed to wake up or he wouldn’t be able to get to sleep later. But whatever his association with the hospital, Tex was wrong about how close it was. Emory University Hospital was 4.3 miles from where Diane McIver had been shot. Piedmont Hospital, where Dani Jo wanted to go, was only 1.9 miles away. Grady Memorial Hospital, which boasts a Level One Trauma Center, was just a 2.7 mile drive. And Emory University had a Midtown Atlanta hospital that was the closest of them all — 1.5 miles from the scene of the crime. Tex’s interactions with Dani in the wake of the shooting looked even more damning. A few months after Diane’s death, Dani told police that Tex “tried to manipulate” her. She claimed that “he tried to get [her] to lie, supposedly to protect” her and wrap the case up more quickly. The prosecution used Tex’s financial ties to Diane McIver to paint a portrait of a man willing to murder his wife to free himself from debt. In 2005, shortly before she married Tex, Diane McIver loaned her fiancé $755,000. Tex secured the promissory note from Diane by putting up half of his Putnam County estate, meaning that “theoretically…Diane [had] the ability to foreclose on the property,” according to the testimony of Kenneth Rickert, general counsel for U.S. Enterprises, of which Diane was CEO at the time of her death. The trial lasted 20 days. On April 23, 2018, the jury in Tex’s case found him guilty of felony murder, along with “aggravated assault, possession of a firearm, and witness influencing.” He was sentenced to life imprisonment. Currently, two in-depth looks at the Diane McIver murder have aired on network television. You can stream “Deadly Detour,” Dateline‘s look at the case, here. “The Last Ride Home,” 48 Hours‘ take, is available for streaming here.